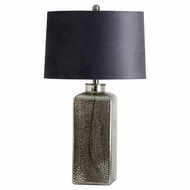 This Apollo Stone Table Lamp makes a great lighting piece that would fit into most home interiors thanks to the neutral grey finish which is a natural stone colour. 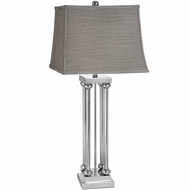 Sitting at 64cm, this is an item that would sit comfortably on most tables and sideboards. 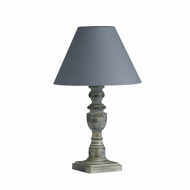 Add an element of natural material to your home interior with this stone table lamp.